Spark your wanderlust and fill your spirit with this guided journal designed to provide inspiration to mindful travelers while on the road. 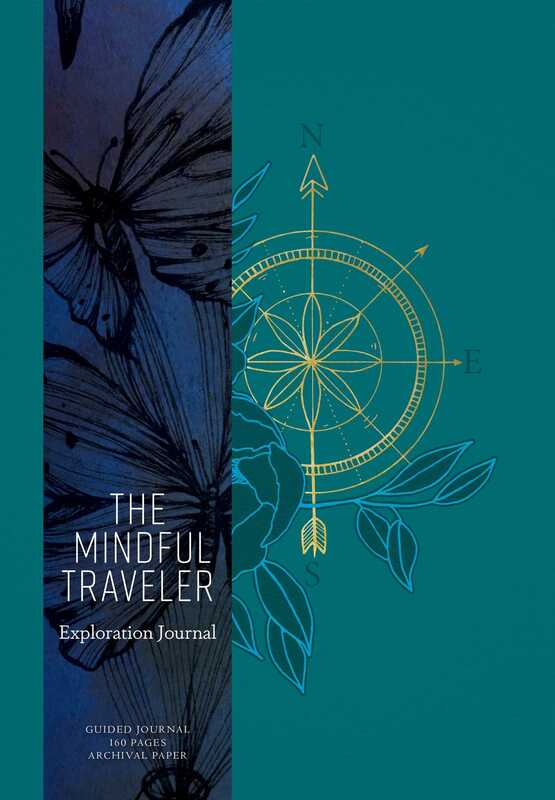 The Mindful Traveler is the perfect companion for those searching for the deeper meaning in their adventures. Sprinkled throughout with thoughtful prompts and meditations, the journal also provides ample space for free-flowing inspirations and reflections, designated space to set daily intentions, and a keepsake pocket to collect special mementos from a trip. Through a series of activities and meditations drawing on ancient wisdom and current insights, The Mindful Traveler gently guides seekers in their journey on the road and within the soul. This journal is illustrated throughout and features a beautiful softcover leatherette for light and easy carrying during one's travels. Its 160 elegant ruled pages are made from archival paper and take both pen and pencil nicely.